Recently Engaged? Do this first! When it comes to your engagement ring and wedding bands, one thing that I always try to stress to my engaged friends is the fact that they really need to go the extra mile and make an effort to insure their rings. Insure your rings, you ask? Yep, that's exactly what I just said. Let me elaborate! You see, in my opinion, your wedding rings are truly so very special! Not only do they symbolize your love and commitment to one another, but often times they are a considerably expensive. So do yourself a favor and make it a priority to have your rings insured, you guys! Trust me, you'll be so glad that you did. That's because you never know what will happen in life! And the last thing you need is to worry about all the what-ifs. Not sure where to go or who to trust? Well, let me introduce you to a company that I believe in whole-heartedly! 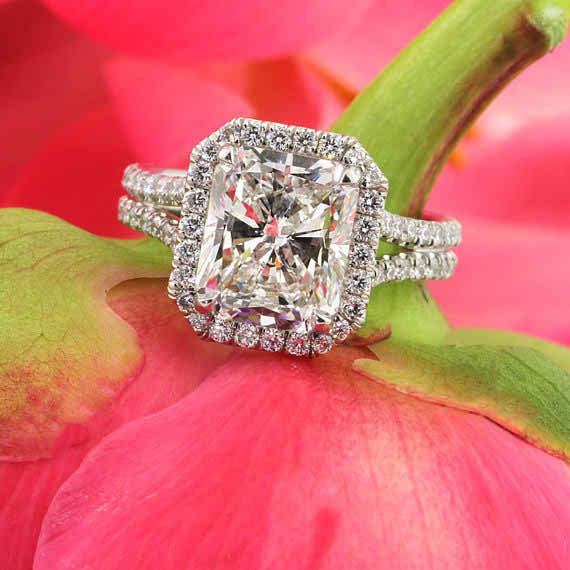 For over 100 years, Jewelers Mutual Insurance Company has specialized in protecting jewelry and only jewelry. You could say it’s their passion. Want to know what I love the most? That would be the fact that with a specialty jewelry insurance policy, like the one offered by Jewelers Mutual, this allows you to wear your jewelry without worry, knowing it’s covered against types of damage or loss – like mysterious disappearance (or unexplained lost) – which may not be covered by standard homeowners policies or warranties. Recently engaged and still haven't taken the step to have your rings insured? Well, there's no time like the present, I say! Seriously, it's one of the first things I suggest doing after getting engaged. Plus the cost is seriously small for peace of mind in knowing that all is covered! It's a win-win situation, really! So what are you waiting for? Be sure to hop over to Jewelers Mutual to start the process! No Comment to " Recently Engaged? Do this first! "